Since we opened in April 2018, our customers have been fascinated by the field-to-fork approach we take to our seasonal food and drink. In particular, our onsite farm never fails to turn heads, with guests requesting informal tours of the eponymous one-acre small holding, before or after savouring one of our organic, locally-sourced tasting menus. Well, now, we’re taking things one step further. 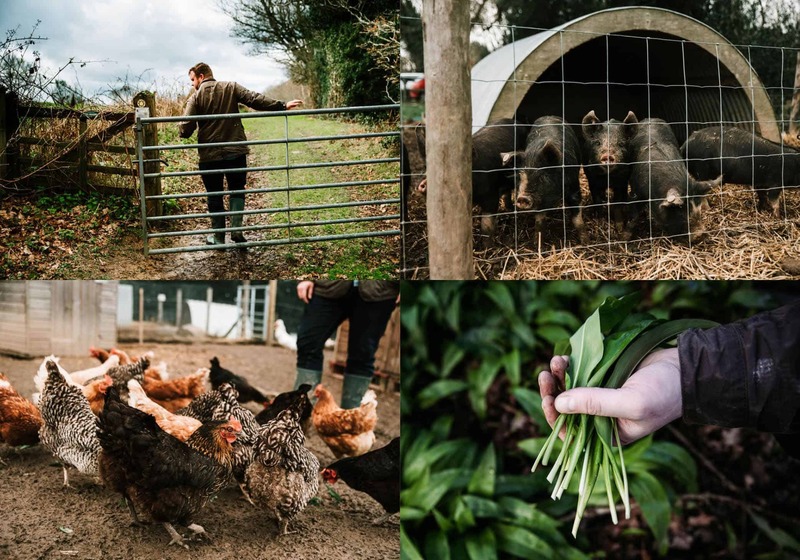 Introducing Farm and Forage at The Small Holding, an immersive experience for visitors to live a day in the life of our Kilndown restaurant. Kicking off on May 1, this unique offering will run every Wednesday and Thursday throughout the summer months, until August 29, providing an engaging insight into the work we do behind the scenes, both in and out of the kitchen. So, what exactly does one of these days entail? After enjoying coffee and homemade pastries in the morning, we’ll put on our wellies for a walk around the farm, where you’ll learn more about the 200 varieties of fruits and vegetables that are grown right on our doorstep. There will even be a chance to feed our resident pigs and chickens! Next, we’ll venture down to the local woods and fields to forage for what’s in season, including wild garlic, blackberries, elderflower, cobnuts, mushrooms and wild strawberries. 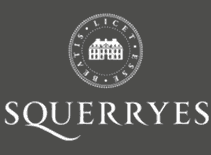 On returning to The Small Holding, you’ll be greeted with a glass of awarding-winning Squerryes English sparkling wine, before tucking in to a five-course Half Acre tasting menu! 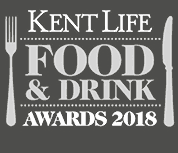 We enjoyed a hugely successful first year, winning Chef of the Year at the Kent Life Food & Drink Awards, and being named Produced in Kent’s Restaurant of the Year for celebrating sustainability at the Taste of Kent Awards. 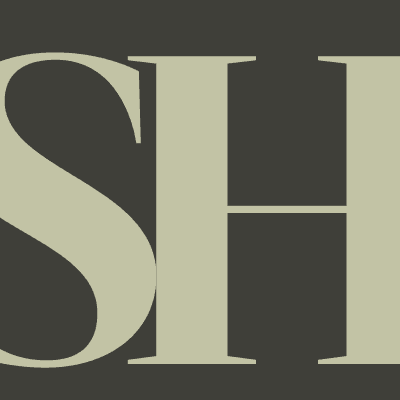 But we’re never ones to rest on our laurels, so Farm and Forage is our way of elevating our already original, innovative flair for championing real food in modern British cuisine. 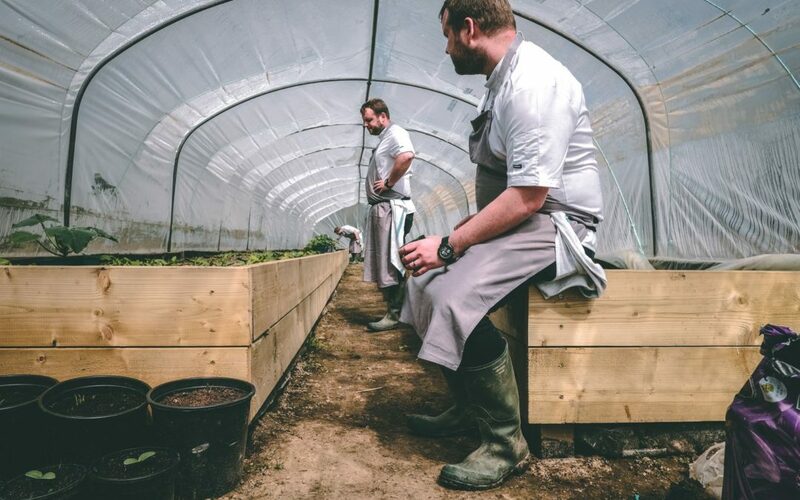 By tapping into the storytelling behind our dishes, as well as the provenance of the homegrown ingredients we use, we’re making the most of our position in the beautiful Garden of England, not only offering the best of Kent on your plate, but giving whole new meaning to what it is to eat local. See you on the farm – we hope you can join us. Farm and Forage days are available on Wednesdays and Thursdays throughout the summer, from May 1 to August 29. 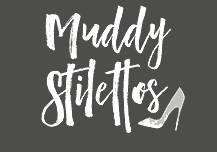 Priced £145 per person, including a five-course lunch and arrival drink, and a goody bag with seasonal treats to take home. 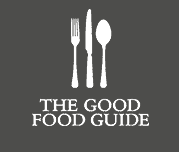 Bookings can be made direct by clicking here, calling the restaurant on 01892 890105, or emailing bookings@thesmallholding.restaurant – don’t forget to sign up to our newsletter below, and be among the first to find out about our latest offers, events and updates!